I don’t need a reason to get to the stationary spiritual home of Back of the Ferry, but extra incentive has been provided by the arrival of 3 new beers to the Keller Door family. Photo says it all really. 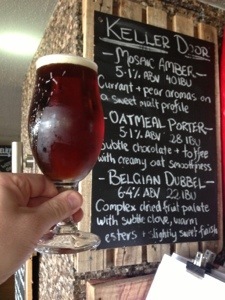 Before the local derby, I tried two of the three – the Mosaic Amber and the Belgian Dubbel. Mosaic was the slight winner on the day. A brassy, sharp amber with more hop than malt. Great finish and very sessionable. That’s it next to the chalkboard The Dubbel knits a good beer coat. 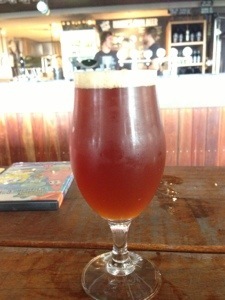 It holds its alcohol content well and it is a big complex mouthfeel. Big fan of both. Might get to the Oatmeal after the game.